The director of a financial research institute and a professor of finance will be the new dean of the UCCS College of Business. Stephen P. Ferris, director, Financial Research Institute, and the J.H. Rogers Chair of Money, Credit and Banking at the University of Missouri, Columbia, was selected following a national search. His appointment was announced Dec. 22 by Tom Christensen, provost. Ferris will join UCCS on July 1. He replaces Venkat Reddy who served as dean from 2005 until being named interim chancellor in December 2016 and chancellor in May 2017. Eric Olson, professor, College of Business, and Cathy Claiborne, professor, College of Business, served as interim deans. Prior to directing the Financial Research Institute at MU, Ferris served as interim dean of MU’s Trulaske College of Business as well as senior associate dean for research and graduate studies, center director, department chair, and professor of finance. At MU, he was recognized with several awards including a 2016 Outstanding Teaching Award, a 2014 Faculty Alumni Award, a 2008 Faculty Service Award and faculty research awards in 2005 and 2006. 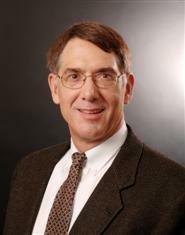 Previously, he served as associate professor of finance at Virginia Polytechnic Institute, Blacksburg, Virginia. He also served as a commissioned officer in the U.S. Navy, retiring as a commander from the Joint Staff at the Pentagon. He earned a bachelor’s degree from Duquesne University, Pittsburgh, Pennsylvania, master’s degrees from the U. S. Army War College and the University of Pittsburgh, and a Ph.D. from the University of Pittsburgh. “I am thrilled to be selected to be the next dean of the College of Business. I eagerly look forward to working with campus administration, alumni, community, faculty, and staff to move the college forward and to provide our students with a top educational experience,” Ferris said. The UCCS College of Business has about 1,100 undergraduates and 350 MBA and distance MBA students. The College of Business and Administration awards the Bachelor of Science in Business and Bachelor of Innovation degrees. The Graduate School of Business Administration awards the Master of Business Administration and Master of Science in Accounting degrees. More than 9,000 alumni of the College of Business live and work around the world. Christensen thanked the members of the search committee for their efforts. The committee was chaired by George Reed, dean, School of Public Affairs. Other members of the search committee were: Britt Anderson, executive assistant to the dean, College of Business; Diane Belger, instructor, College of Business; Jill Bradley-Geist, assistant professor, College of Business; Ariadna Coffman, outreach specialist, Admissions Services; Andrew Czaplewski, professor, College of Business; Tracy Gonzalez-Padron, associate professor and director, Daniels Ethics Initiative, College of Business; Gary Klein, professor, College of Business; Becky Medved, Colorado Springs, a College of Business alumna and member of the college advisory board; Morgan Shepherd, professor, College of Business; Nicole Tugg, assistant director, Development Office; and Don Warrick, professor, College of Business. Kara Carragher, business and human resources professional, College of Business, supported the committee.